Each year, WPI fraternities and sororities are recognized for outstanding accomplishments at the Greek Alumni Council (GAC) Awards Ceremony. At this year’s award ceremony on Monday April 3rd, five of our brothers received awards for their hard work and dedication to Phi Kappa Theta as well as the Greek and WPI communities. We also had three of our brothers recognized at the WPI Student Recognition Awards Ceremony. Below are the recognitions received by our fellow brothers. The criteria for these awards and additional information on the recipients are also available below. Please join us in congratulating them for their hard work and dedication! Tim Petri (B.S. Computer Science ’17) received the Order of Omega Academic Excellence Award, which is given to one student who has displayed excellence in their academic record that undoubtedly deserves to be congratulated. 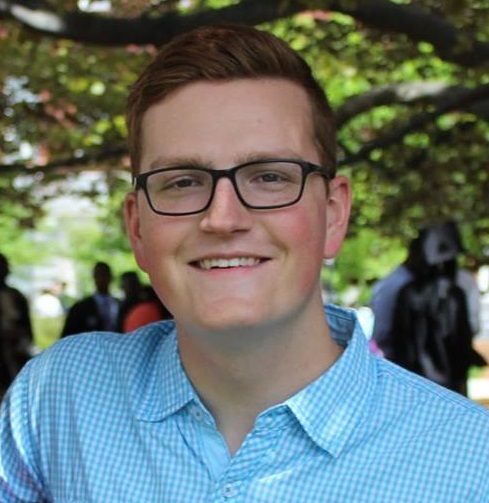 Tim has been noted as a Charles O. Thompson Scholar in 2014, awarded to the WPI Dean’s List in each of his semesters at WPI, and has enrolled in Upsilon Pi Epsilon, an honor society that recognizes scholarship and professionalism in the computing sciences. In addition to his academic and professional achievements, Tim is a member of the Varsity Swimming and Diving Team at WPI. In March, Tim competed in the 2017 NCAA Division III Swimming & Diving Championships and was the first-ever student-athlete at WPI to win the NCAA Elite 90 Award for his remarkable athletic and academic performance. John Mastroianni (B.S. 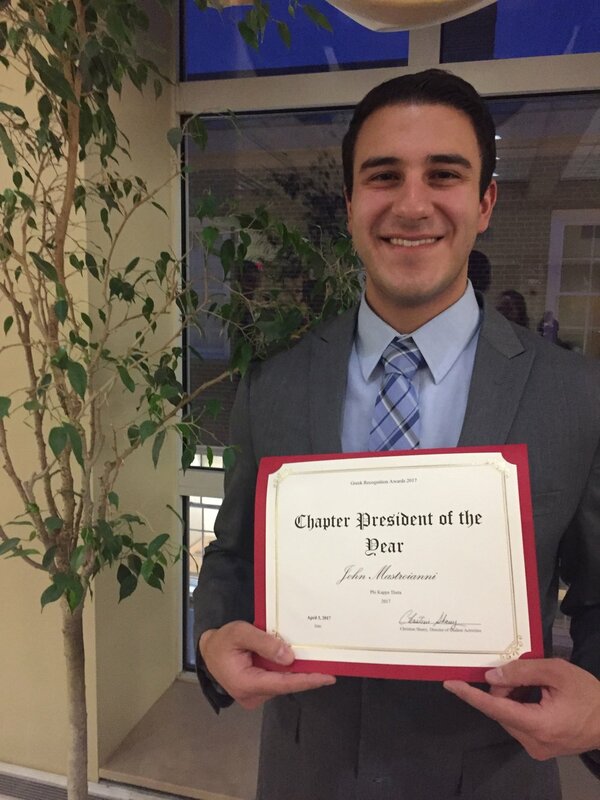 Industrial Engineering ’17) was the recipient of the Chapter President of the Year Award, which is awarded to one fraternity/sorority president each year. John was initiated into the MA Lambda chapter in 2014 and has since given back to the chapter in a variety of ways. In 2015, he served as Interim Vice President of Operations, Interim Social & Philanthropy Chair and Interim Quartermaster. In these positions, John organized a professional development workshop for undergraduate and alumni brothers, a fraternity barbecue and led the KAP Relay for Life team. This past year, John was elected as President of the chapter. He led our winter retreat, which helped brothers resolve previously existing conflicts and helped push forward the idea of restructuring our chapter meetings and making them more discussion-based. He currently serves as Quartermaster alongside another brother and was recently elected as the Treasurer for the Aquinas Association. Drew DeRubeis (B.S. 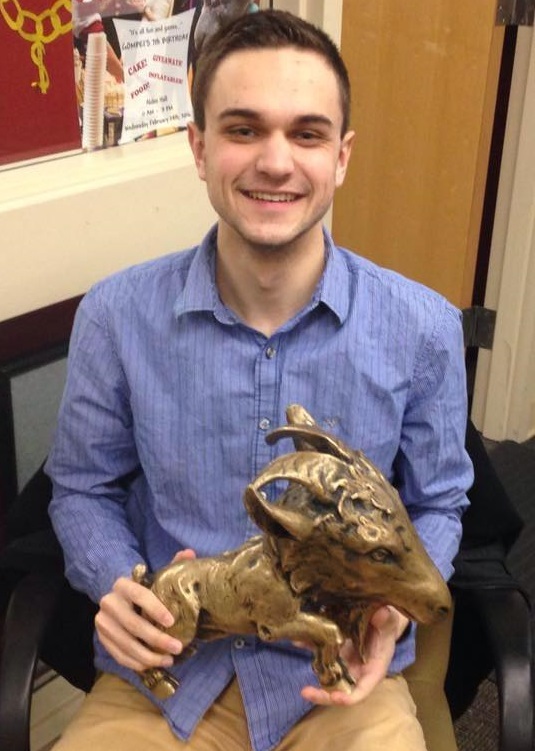 Mechanical Engineering ’17) was a recipient of the WPI Crimson and Gray Award, Employee of the Year Award, and the Emily Perlow Partnership Award, which recognizes a student who has worked to promote strong relationships within and outside of the WPI community. Drew was initiated into KAP as a junior in January 2016 and he wasted no time in making a substantial impact. In March of 2016, Drew ran and was elected into D-Term Interim President. He took an active role on the Interfraternity Council (IFC) and collaborated with the Student Development and Counseling Center and other students to form what is now called WPI SMART (Students Mentoring Active Responsibility Together). Drew serves as the President of WPI SMART and together, the organization helps educate the concept of Social Responsibility to others on campus. Drew was recognized for Employee of the Year through his role as Resident Advisor on campus. Connor Tower (B.S. Biomedical Engineering ’17) was a recipient of the WPI Crimson and Gray Award. Connor was initiated into the chapter in 2014 and since then he has served as the Ritual and Recruitment Chair, Historian, and Interim Internal Governance Chair. Connor played a crucial role in updating the chapter bylaws and improving the efficiency of cabinet and executive board meetings. Outside of the Chapter Connor has been an active member of WPI’s Social Committee (SocComm) having served as President this past year. He has also further demonstrated his leadership abilities through his involvement in Student Government Association. Connor has his own radio show through WPI Radio Club and has served the WPI community through his job in the Campus Center. Dean Arthur “Art” Heinricher received the Alun Okun Memorial Award for Excellence in Chapter Advising and the CORE Advisor of the Year Award. Art worked with members of KAP over the last year to help create and successfully introduce our first Scholarship Committee. This committee’s purpose is to meet with members and help them improve as students improving as a student. Art also regularly meets with executive board members, especially the President to discuss short- and long-term goals for the chapter. He also refers back to suggestions made by Bill Grogan to provide a historical perspective on our chapter. Brothers have no issue going to Art to talk about both professional and personal advice and he always makes an effort to come and participate in our weekly chapter meetings. Despite his busy schedule, Art is also an active member of the Aquinas Association.